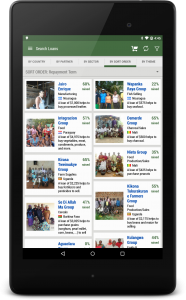 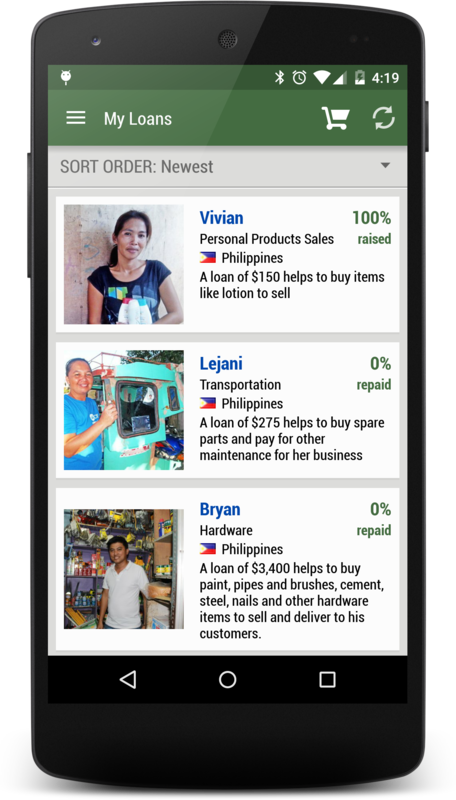 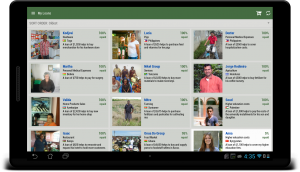 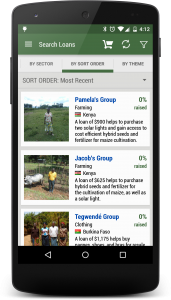 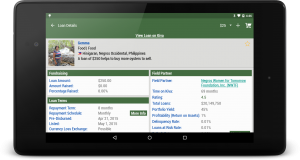 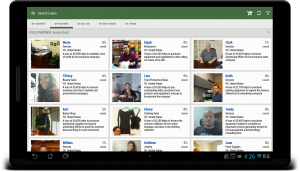 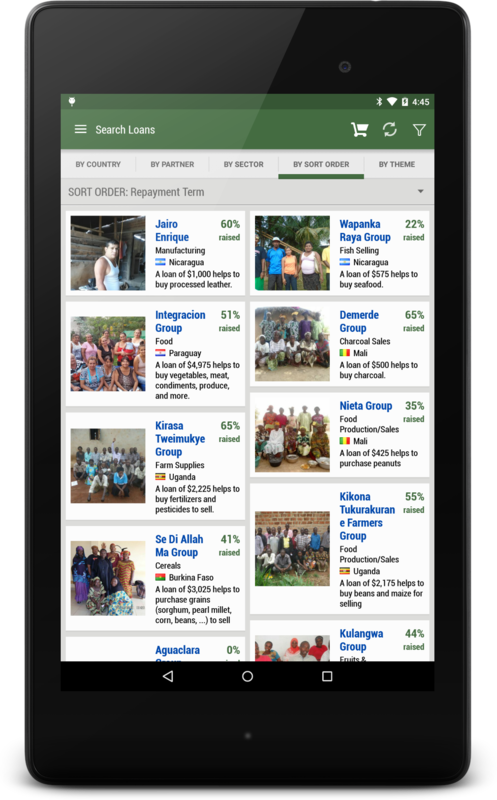 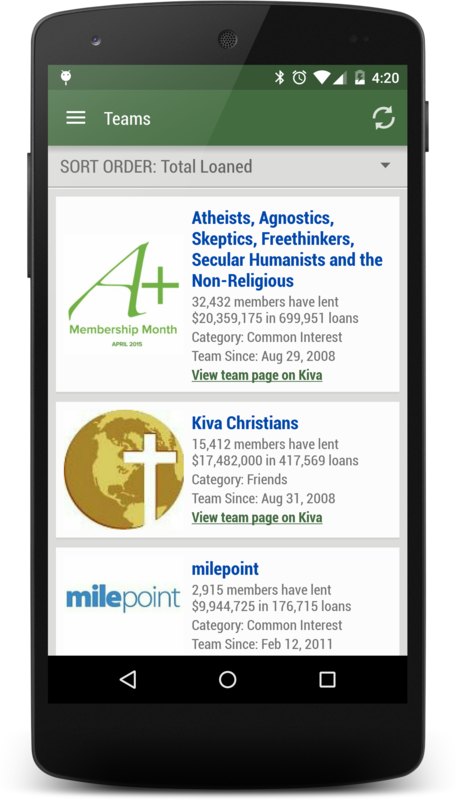 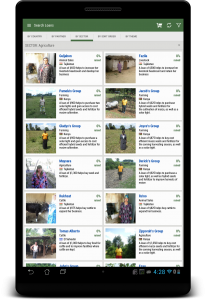 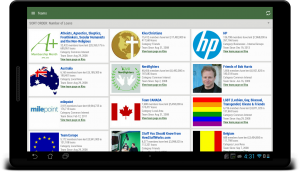 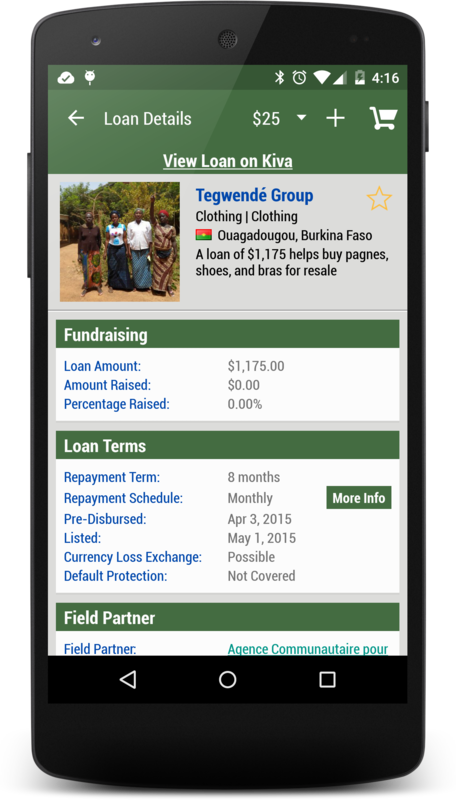 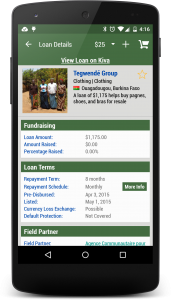 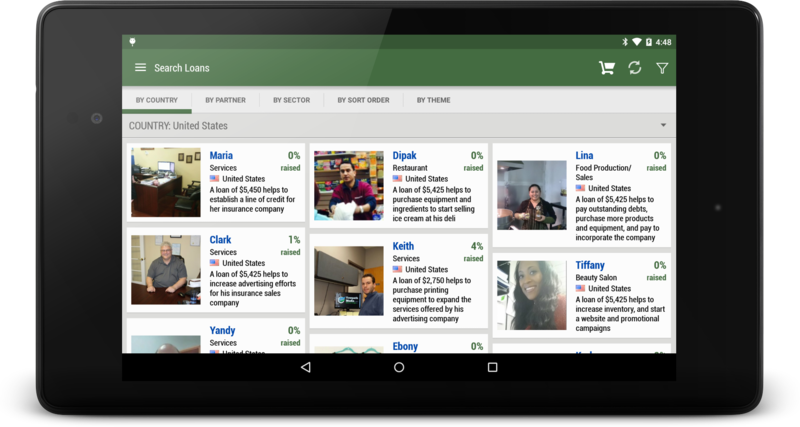 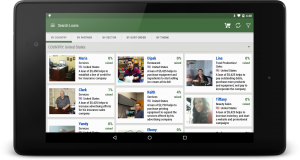 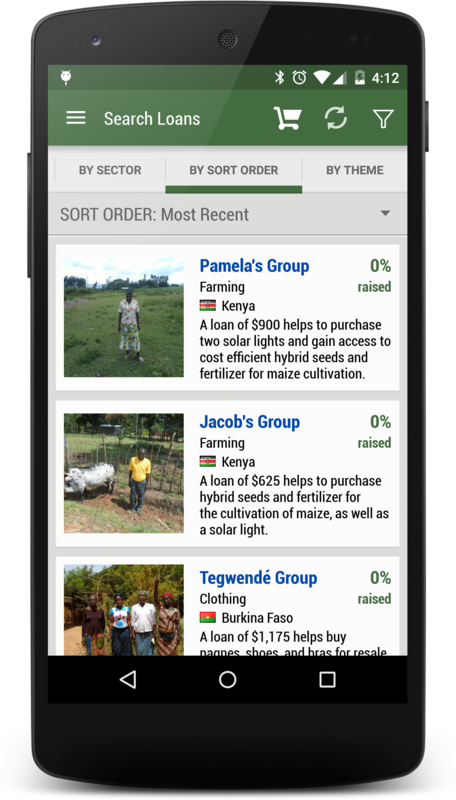 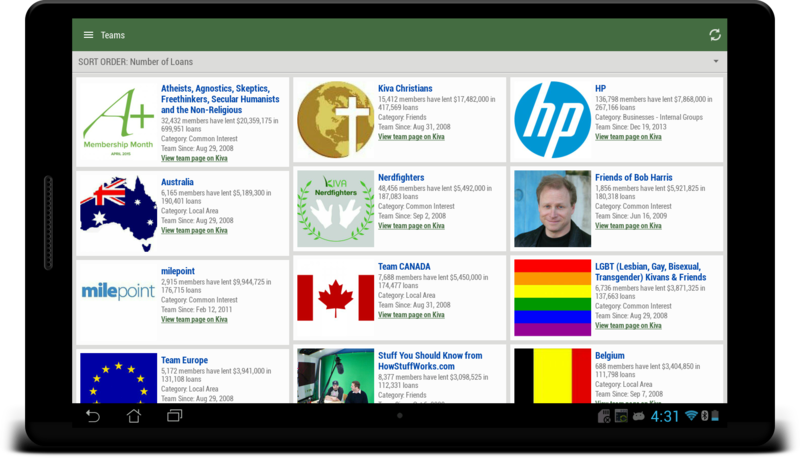 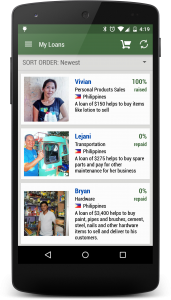 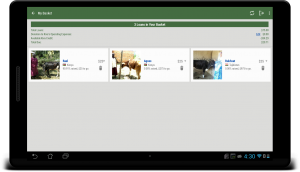 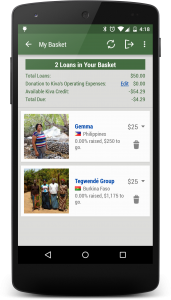 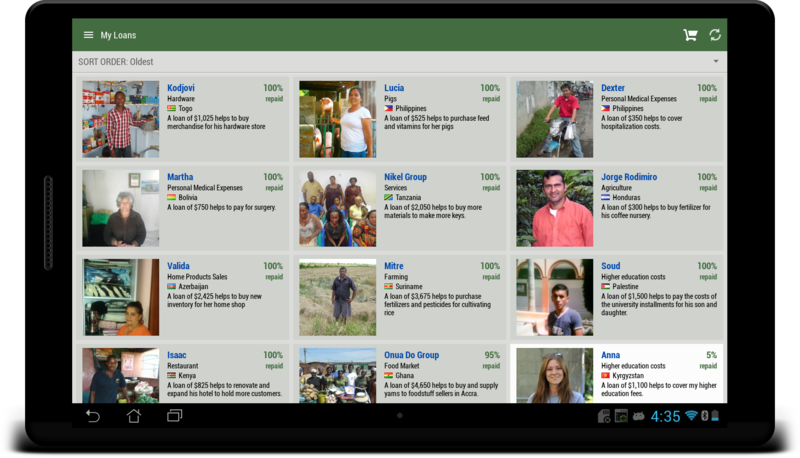 Download Kiva Search from Amazon App Store. 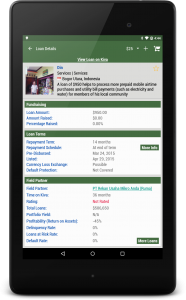 Click on a loan to view the loan details. 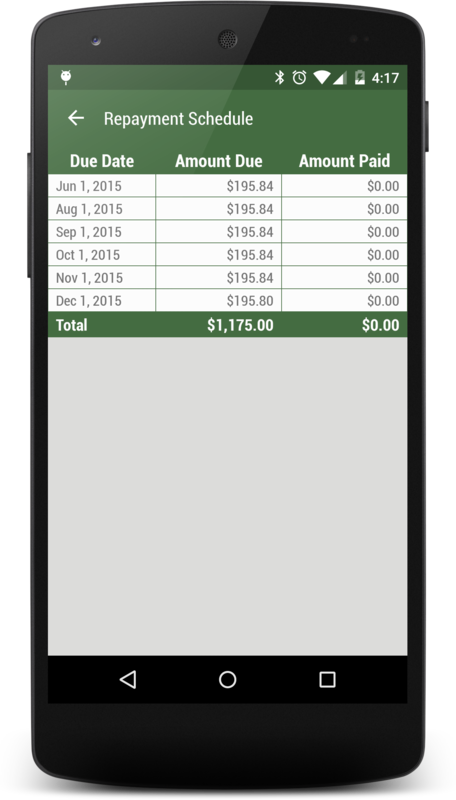 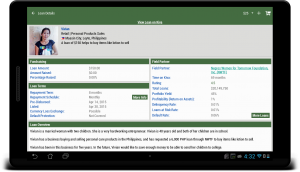 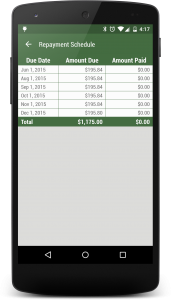 In the loan details screen swipe to view the next loan (non-tablet mode). 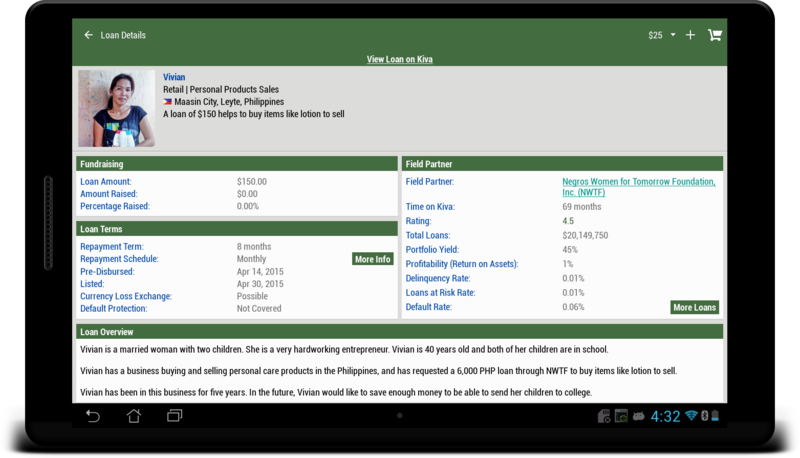 Click on the star to add the loan to your Watch List screen. 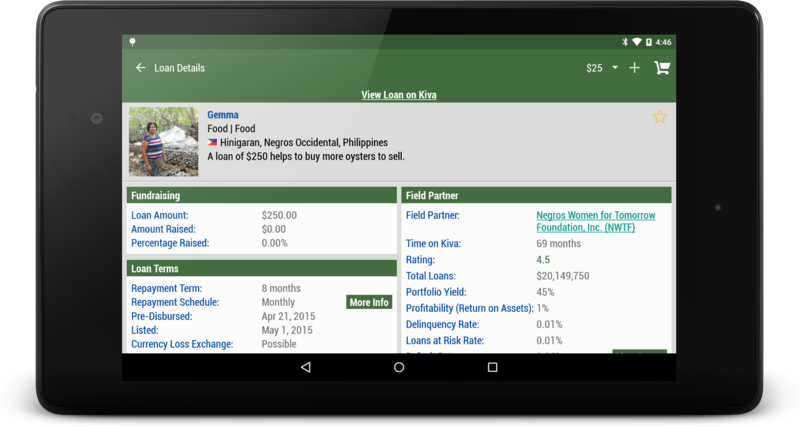 Click (more loans) in the loan detail screen to view more loans by the same field partner. 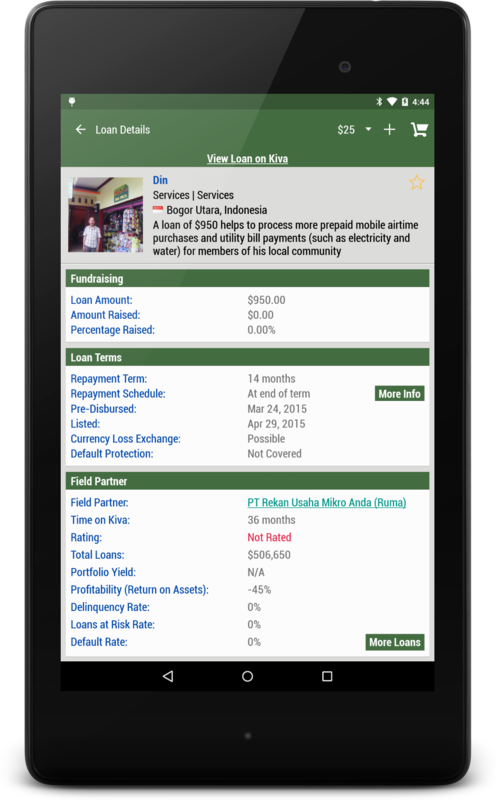 To view a larger borrower image, click on the image in the loan detail screen, click the image again to close it. 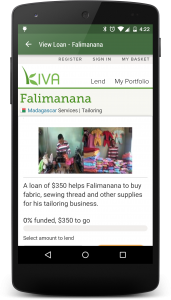 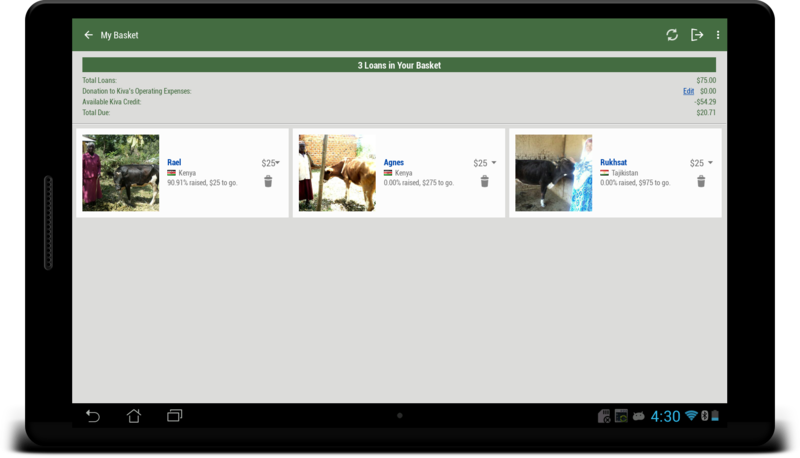 My Basket – manage your basket and checkout via the Kiva website. 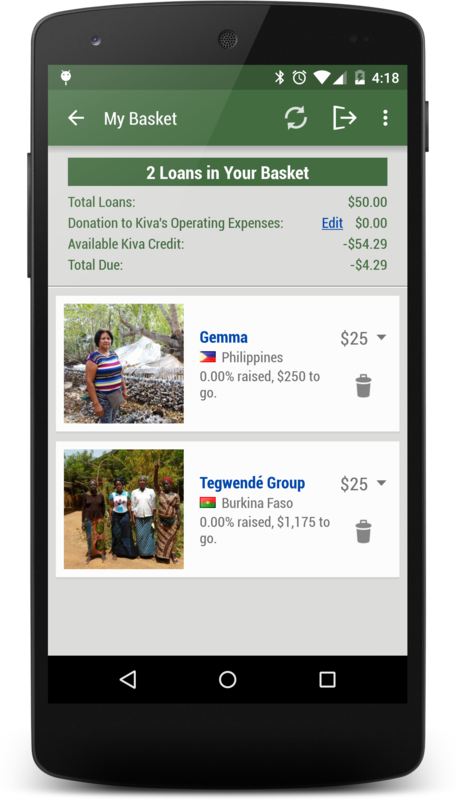 My Account, My Loans, My Teams – authorise access via the My Accounts screen. 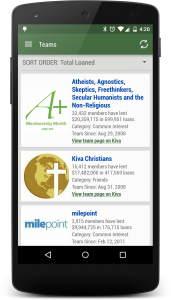 Search for teams to join. 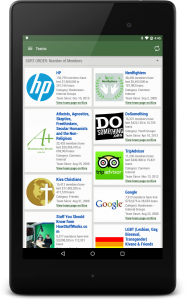 Small screen support (Xperia X10 mini).